Katherine can accept instructions in appropriate cases from members of the public under the Bar Direct Public Access Scheme. She has appeared in the High Court, the Court of Appeal and assisted on cases in the Supreme Court during pupillage. Katherine has a particular interest in cases involving matrimonial finance. She has advised and acted in cases involving hidden assets, bankruptcy and also where there are parallel Proceeds of Crime Act proceedings, multiple parties and claims about trusts. She is happy to draft prenuptial and postnuptial agreements as well as handle cases in which a nuptial agreement is in issue. Katherine’s work covers all areas of family law. Katherine has extensive experience in public law children cases, acting for local authorities, Guardians, parents and interveners. Recent cases have included neglect, physical abuse and sexual abuse of children as well as consideration of whether a child should give evidence within proceedings and covert recordings. She continues regularly to act in public law cases and also has worked on cases involving adoption applications. 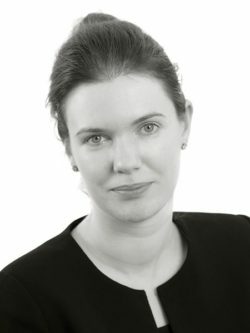 Katherine has acted in a number of private law children cases. These have included cases involving an implacably hostile parent, false allegations, issues around domestic violence and substance misuse as well as cases that have developed into care proceedings. Recent cases have included issues concerning judicial questioning, historic sexual abuse allegations and religious upbringing. She accepts instructions in cases involving surrogacy as well as international children work. Katherine accepts instructions in Schedule 1 applications and TOLATA claims. Recent cases have included a TOLATA claim involving an extensive investment portfolio of properties and a claim involving an argument around proprietary estoppel. She acts in cases of cohabitee relationship breakdown as well as family investment vehicle cases where disputes over beneficial shares arise. 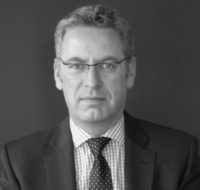 2015 seminar: “Cohabitation and Trusts of Land: An overview of the state of the law”. 2015 seminar: “The family home as a castle. Defending and claiming against the family home in family and civil proceedings”. 2014 seminar: “The nuts and bolts of financial remedies”. “Immigration: the way forward?” the second of a two-part consideration of children and immigration law, looking at how other jurisdictions tackle this issue. Published in the Legalease Family Law Journal, July 2016. It was co-authored with Agata Patyna. “No Place like Home“, the first of a two-part consideration of the rights of unaccompanied children seeing asylum within the immigration and family law process. Published in the Legalease Family Law Journal, June 2015. It was co-authored with Agata Patyna. “Protective measures” discussed recommendations to increase protection from stalking and was published in the Legalease Family Law Journal, February 2014. It was co-authored with Chris Bryden. Several articles for Lexology and for chambers newsletters on family law topics. Katherine frequently provides written advice on family and property law questions for the LexisNexis website. She also volunteers at a Legal Advice Centre, providing pro bono advice on family law matters. When not working, Katherine enjoys travelling, watching snooker, listening to opera and making ceramics. FRSA.